214 pages | 8 B/W Illus. Since the 1978 opening up of China and her active engagement in economic reformation and modernization, China has become a truly global economic power. These developments have, consequently, had an impact on ethnic Chinese people living across the world. Traditionally, the study of immigrant communities has focused on internal factors, such as the leadership and social organization of the actors inside the communities. This book, however, turns attention to the exogenous factors, which have helped shape the lives of the Chinese diaspora. In doing so, it provides a valuable contribution to the recent literature, which focuses on the effect of globalisation on the Chinese overseas. 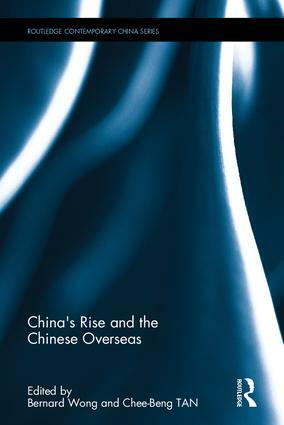 Using a number of empirical case studies, including the San Francisco Bay, Canada, South Africa and Hungary, it provides an investigation into how China’s contemporary position in the world has affected the identity of the various locales of the Chinese in different continents. Whilst demonstrating the implications of China’s rise on patterns of circular migration and transnational movements, it also explores how the social and economic relations between Chinese communities and their host and ancestral countries have changed. Ultimately, it highlights how China’s rise has brought new economic opportunities and political clout for the Chinese overseas, but at the same time, has created new stereotypes and racial images by association. As an in-depth study of Chinese societies as well as current migration trends, this book will be useful for students of Chinese Studies, Ethnic Studies, Anthropology and Sociology. Bernard P. Wong is Professor Emeritus of Anthropology at San Francisco State University. His research interests include the family, ethnic identity, cultural citizenship and globalization. Tan Chee-Beng is Distinguished Professor in the Department of Anthropology at Sun Yat-sen University. He is also currently President of the International Society for the Study of Chinese Overseas (ISSCO).